Happy to offer one of the most beautiful bikes ever – Wilier Triestina Ramato / Ramata (Ramato means copper plated in Italian). 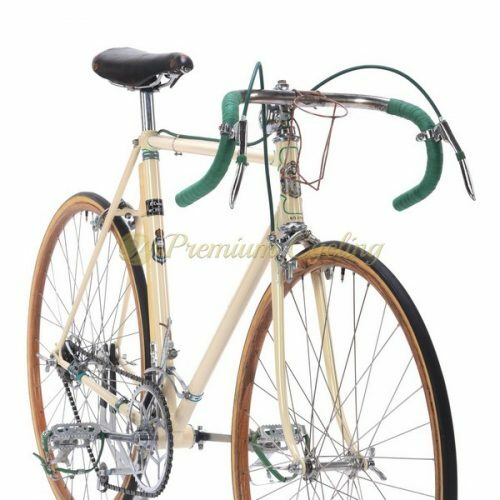 The frame is made of Columbus SLX tubing, build with top of the line Campagnolo Super Record groupset, with pantograph stem, seatpost, chainring and shifters and dates back to early/mid 1980s. It’s easily to detect beautiful engravings and stunning Wilier head badge on the headtube. Love at first sight. Not much words needed. Condition: Used, but in excellent conditon. The frame was refubrisehd by Wilier Triestina, never riden since then and has has no cracks and is not bend. All parts are in good condition and are working fine.